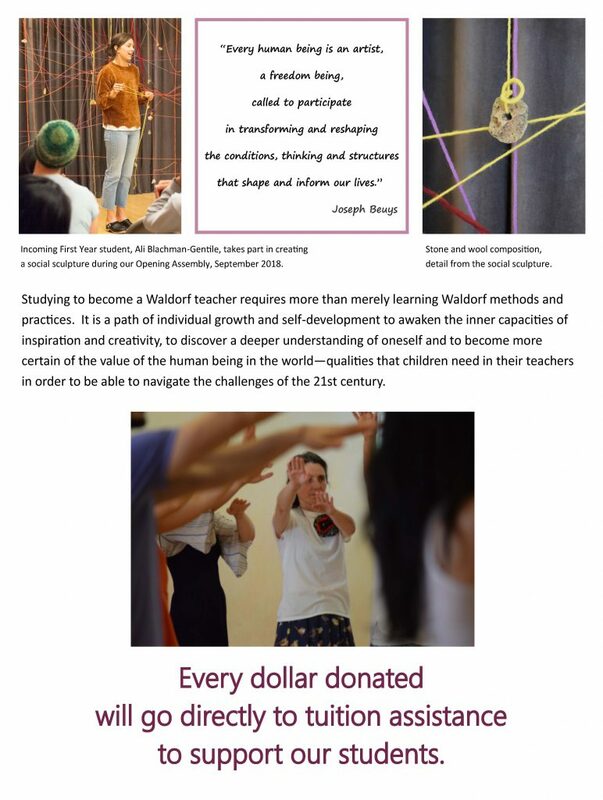 Find out more about what it means to become a Waldorf teacher! Visitors will be allowed to observe a few classes, meet with current students and faculty, and learn more about the curriculum and application process. This is a free event and open to the public, but we ask that you please reserve your spot in advance. To RSVP or for additional information, please contact our office at tiffany@bacwtt.org or 415-479-4400. We hope you will join us! 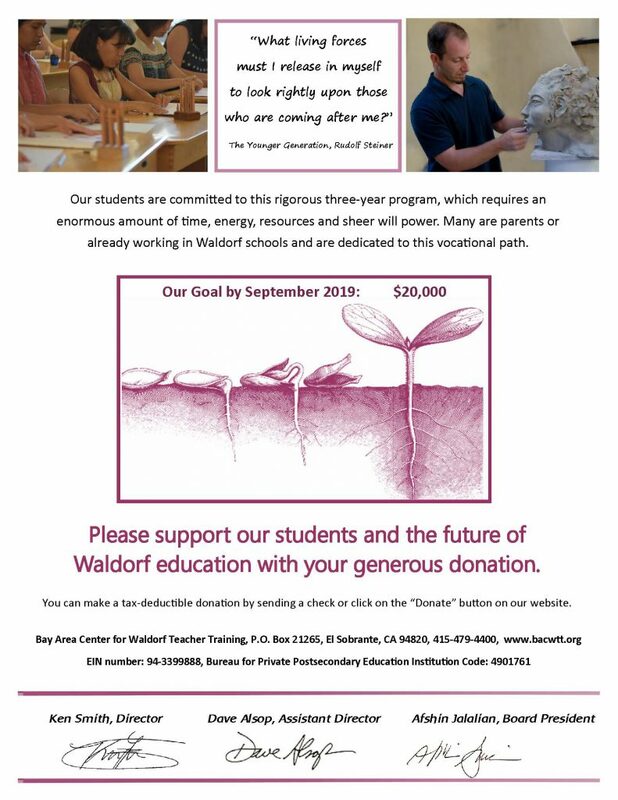 If you would like to support us and assist our students as they realize their dreams of becoming Waldorf teachers, we will be very grateful. To donate today, please click here. Please click here to donate. Thank you so much for your generosity! 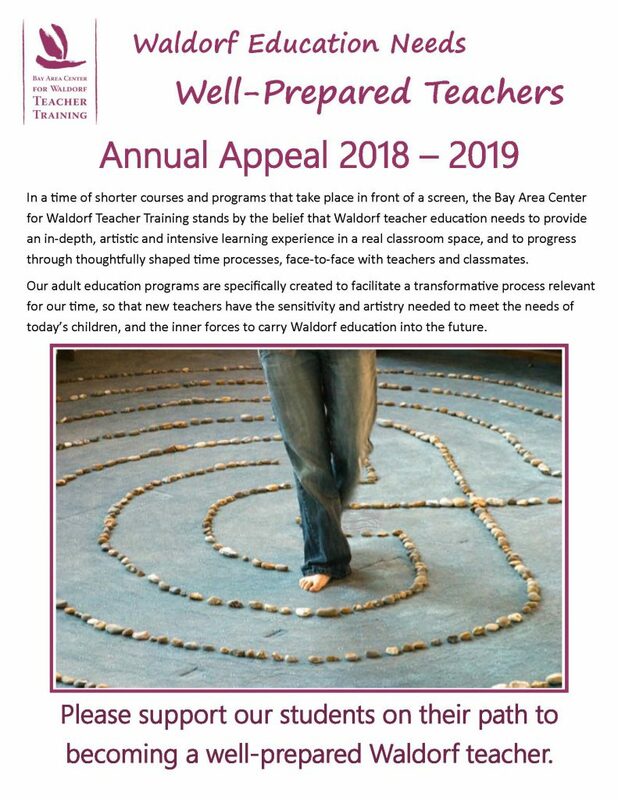 The Bay Area Center for Waldorf Teacher Training will be hosting the next New Impulse Conference at the Marin Waldorf School on February 18-20, 2016. Please register here to reserve your space!